Jargal is a Green Party candidate contesting a single-seat electoral district in Sukhbaatar Province. She says she never could have dreamed of being nominated by her party were it not for the female quota. “Now I know it's possible. After working for six years in civil society, this is a great opportunity to share what I have learned and believe in … no matter if they vote for me or not,” she told EurasiaNet.org. This election cycle is not the first time Mongolia has experimented with quotas to encourage female candidates. In 2005, after lobbying from women's groups, political parties were told at least 30 percent of candidates must be women. The law was suddenly revoked just before the 2008 election, however, and never tested. Davaanyam believes the reintroduction of a quota last year, though reduced to 20 percent, is thanks to pressure from advocacy groups. While it deserves to be lauded in theory, she argued that in practice it may not do much to change the status quo: that is because the new rules say nothing about where women should appear on party lists. "If you look at the party lists, very few women are at the top,” Davaanyam says. “The law is written, but in real life parties are doing little to support women." The proportional system allots 28 seats. That means it is unlikely a party can win more than a dozen seats. The two leading parties – the Democratic Party (DP) and the Mongolian People's Party (MPP) – have nine and 11 women respectively on their 28-member lists. But DP’s first woman is placed at number seven; MPP’s at number 10. 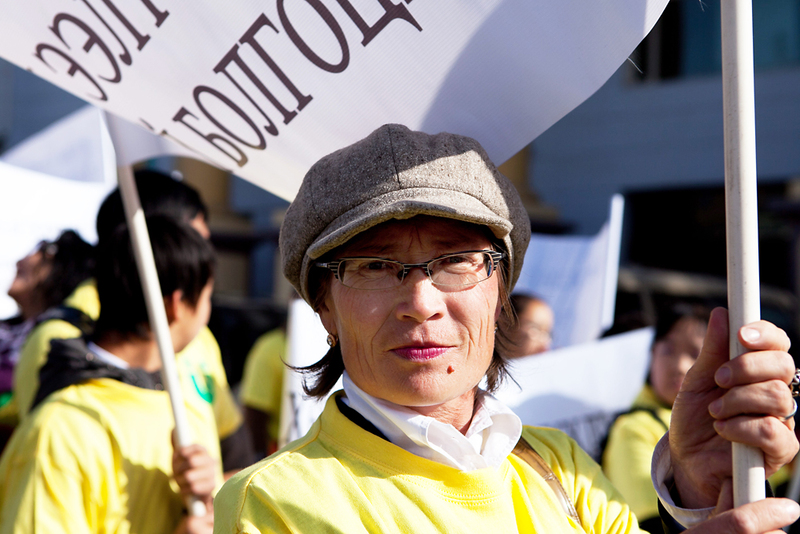 "Women are still at the bottom of the list because [the law] hasn't specified how that 20 percent quota is to be secured," says Sukhjargalmaa Dugersuren, a former senior government aide who helped draft Mongolia's gender equality law. Dugersuren tops the party list for the Civil Movement Party (CMP), the first party to field an overwhelming 95 percent majority of female candidates. While her party has barely registered on pre-poll opinion surveys, and is not expected to secure any seats, Dugersuren is confident they have made their mark. "All over the country people know there is a party that has nominated women intent on pushing for change," she states. "Women are perceived as less corrupt," she says. It is an important consideration in a country that ranks 120 out of 183 in Transparency International's Corruption Perceptions Index. She believes that because of growing discontent over the government's handling of Mongolia’s vast mineral resources, voters are keen to see more women enter the legislature.